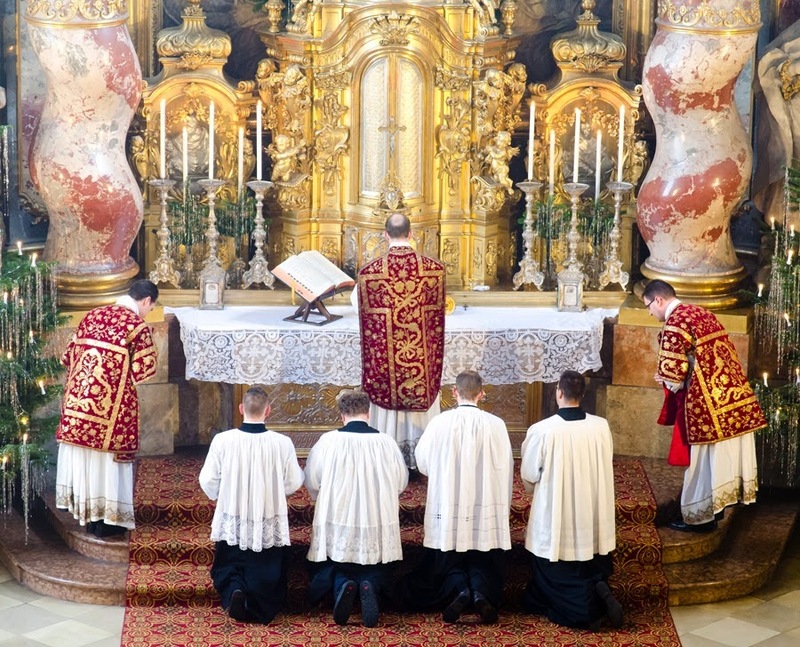 The response to my earlier article, “How the Traditional Latin Mass Fosters More Active Participation than the Ordinary Form,” was overwhelming, in a way that took me by surprise. It was viewed by a record number of readers and received dozens of comments to the effect of: “This article has exactly expressed what I’ve experienced.” The central claim, namely, that the TLM offers greater opportunity for active participation, interiorly and externally, was clearly one that resonated with many Catholics. One might compare it to two different treasure chests. If both forms of the Mass, containing the Blessed Sacrament within their confines, can be compared to the ark of the covenant, nevertheless the OF is like a sleeker, more modern, smaller treasure chest that is less ornamented and offers a less jewel-encrusted setting for the Sacrament, while the EF is a capacious old treasure chest with the riches of many centuries deposited in it. At first acquaintance, some may even find it oppressively and randomly adorned, but this reaction tends to go away as one understands better the meaning and beauty of the contents. 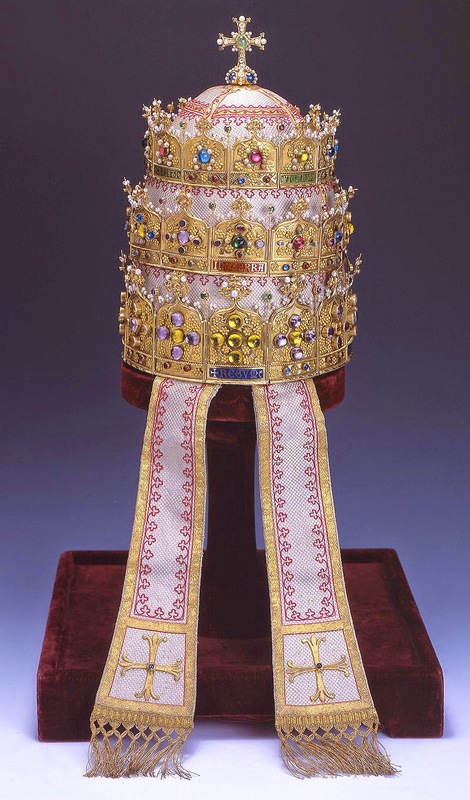 I am reminded of the difference between the old papal tiaras and the space-age tiara gifted to Paul VI. The contrast between them is quite like the contrast between the forms. To this extent, therefore, the classical Roman Rite, as such, offers more to actively participate in—and the main reason it doesn’t strike people this way is that they haven’t yet been able to access those riches. This could be the result of many factors: simple lack of opportunity; poor catechesis; misconceptions of the “preconciliar Mass”; a lack of general intellectual culture; being turned off by cranky traditionalists. Nor can we exclude indifference to the unknown, hesitation before the unfamiliar, and laziness before the demanding. Conversely, when people who are striving to be devout Catholics and to plumb the depths of the Church’s liturgy discover in the usus antiquior a liberating, exciting, even revelatory experience of worship, we couldn’t really say that this is very surprising; after all, this is the liturgy that nourished saints, theologians, and mystics for many centuries. This being said, the ex opere operantis dimension enters in, of course: a faithful and prayerful Catholic who gives everything he’s got to the Mass can subjectively derive more fruits from a Novus Ordo Mass than a distracted person who’s attending a traditional Mass but daydreaming about baseball or politics at the office. A person’s holiness can make up for any number of external defects or deficiencies. We know about the saints who celebrated Mass in prison cells with a thimble of wine and a crust of bread. We also know about corrupt princes and prelates who celebrated Solemn High Masses with great majesty. This correctly subjective consideration does not, however, cancel out the consideration of liturgical form as such and what it objectively offers to the participating subjects, nor does it entirely relativize the question of how the forms themselves, with their content, rubrics, and overall Gestalt, habituate the subjects—in a sense, how they are training the vines to grow. Thanks be to God that grace can so often surpass nature and culture, supplying for their absence; but thanks be to God as well for providing so many supports of nature and culture, smoothing the path to grace! Through its inherent riches and through the attitudes of reverence and adoration it so strongly develops, the traditional liturgy makes available a superabundance of graces and disposes us to receive them more profoundly. In this sense, as good theologians have explained with customary carefulness, all Masses are not equal in every respect. It is not a matter of indifference which Mass we attend, how reverently it is celebrated, or what form it is; people can be better or worse off in regard to taking hold of the fruits of the Mass, and its impetratory power varies with the holiness of the clergy and, indeed, the holiness of the Church on earth at a given time. Someone who is ignorant of a better way, liturgically speaking, can work out his salvation in fear and trembling, and so avoid serious sin. But that is a minimalist way of putting it. If the question is: Will this person's mind and heart be as deeply formed in the mysteries of Christ and the Church by an inferior liturgy as by a superior one, assuming equal attentiveness to both, there's no doubt that the answer is no. So there is good news and bad news. 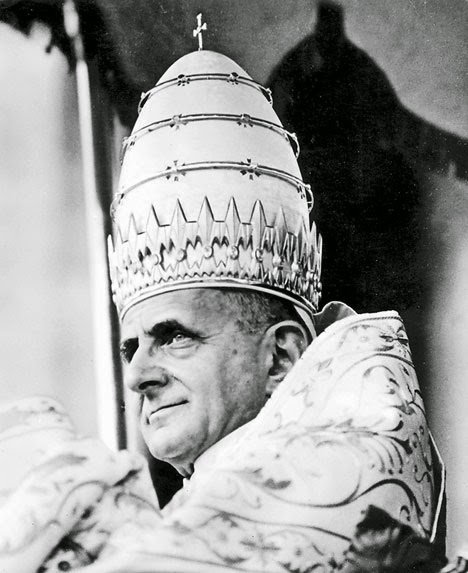 The good news is that salvation and some degree of holiness are still possible. The bad news is that poor liturgy means poor formation of the inner man, which clips the wings of the spirit and limits the height and breadth of the Church's mission. Naturally, all such answers are said relatively. A priest stuck in a prison cell reciting the Our Father can reach far greater holiness than a person in a beautiful church with a beautiful liturgy, but we wouldn't want to say that, just for that reason, everyone should be thrown in jail and have Mass with stale bread crumbs and drops of dirty wine. Rather, the beautiful church and liturgy are there for a reason, to speak to our senses, our minds, our hearts—and you can be sure that the priest in jail, although submissive to God's holy will, would be grateful to be delivered from captivity and restored to a more fitting house of worship. In an age of such great confusion as ours, characterized by an astonishing ignorance of tradition, a self-destructive contempt for the past, a modern theology of accommodationism at every level, and an unbounded hubris that dares to lay hands on what is most sacred and change it at whim, it can be extremely difficult to maintain one's interior peace and remain a peacemaker, with a charitable attitude at all times towards all men, especially those of the household of the Faith. We who dearly love the sacred liturgy, a most special gift of the Heart of Christ, will have to struggle with this challenge all our lives, but it is our way of participating in His Passion, and there is a Resurrection at the end of it—both in time, as our Lord mercifully restores His Church here and there, and in eternity, where the Church in her heavenly perfection is altogether holy, without spot or wrinkle or blemish. Meanwhile, in this vale of tears, ignorance is not bliss; ignorance will prevent a lot of souls from seeking or achieving perfection (of any degree). Rather, we need to pray for wisdom to know what is best, that we may see everything else in its light, and for charity, that our knowledge—as well as our sufferings—may be infused with love, especially for those who, through no fault of their own, are skimming the surface of the Christian mystery rather than being immersed in it. Miserere nostri, Domine, quia peccavimus tibi.